If you have been accused of a criminal offence, been arrested or if you have been released on bail please contact our specialist team as soon as possible on 0118 957 4018 or send us details online. 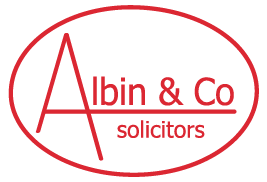 Albin and Co offers criminal defence services to privately funded clients and those who qualify for legal aid. Our criminal department has many years of experience and an excellent track record defending clients facing criminal charges in the Magistrates Court and Crown Court. Our specialist criminal defence lawyers are on call 24 hours a day to attend the Police Station to provide you with advice and representation. We pride ourselves on the personal service we provide for clients. Every client is allocated to a specific solicitor who deals with their case from start to finish regardless of whether it is in the Police Station or court. For cases that have reached the Crown Court we have a team specialising in such matters to provide further assistance and attendance at court. We use specialised barristers who have a track record of advocacy in the Crown Court of both expertise and professionalism. or send us your enquiry below.